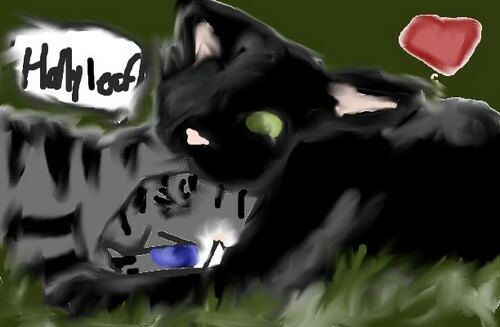 Hollyleaf and jayfeather. she nomming his head ^3^. Wallpaper and background images in the Warriors (Novel Series) club tagged: warriors. D: No Hollyleaf!!!! XD Lol Cute picture.